The growth in house prices has slowed again in the past month, with the annual increase to March moderating to 8.8%, now well down on the 10% peak reported in December.. The figures released by government valuer Quotable Value suggest that the Reserve Bank's 'speed limits' on high loan-to-value lending have been having a much bigger impact than was earlier anticipated. That latest 8.8% annual rate of price growth compares with 9.3% in February, 9.6% in January and the December peak of 10%. While the QV figures are largely regarded as being the most accurate reader of the market, the do tend to 'lag' other data indicators. That is because they record completed transactions, rather than other statistics that record sales as soon as they become unconditional. These latest figures therefore probably bear out what was being seen in other data releases in February. In fact other recent releases are perhaps suggesting that the impact of the LVR restrictions might have reached its peak and now be just starting to flatten off. The LVR restrictions were expected to have the most impact in the early months. Auckland's largest real estate firm Barfoot & Thompson has reported a record median price for house sold in March - but the figures still appear to be skewed by fewer low-priced properties being sold. 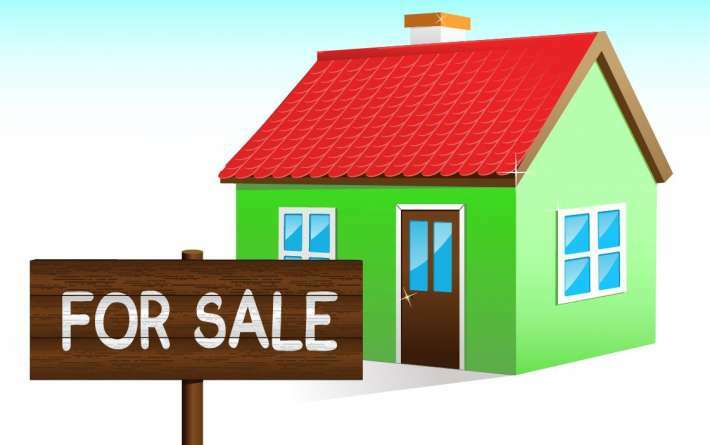 The latest report from Realestate.co.nz showed that a seasonally-adjusted 7.1% rise in Auckland house listings in March helped lift the total of new house listings nationally by 2% in the month. QV in its latest release said the average residential property price around the country was $466,665 in March, compared with $468,484 in February, $467,499 as of January and $466,022 in December. In the hot Auckland market the average price was $699,659 compared with $695,499 in February, $695,215 in January and $693,549 in December. The latest month's figure gave an annual increase of 14.3% in Auckland, which is actually up from 14% in February and compares with 14.5% in January and 15.4% in December. However, while the Auckland figures are up overall, some parts - including the South and parts of Manukau - have actually seen falls in prices. But overall, the Auckland figures again perhaps suggests that the impact of the LVRs might now have been felt to its fullest extent, even though currently banks are still lending only very small amounts to high LVR customers. The RBNZ itself has in its latest bulletin expressed some surprise at how low the level of banks' high loan-to-value lending has sunk since the RBNZ introduced 'speed limits' on high-LVR lending in October. And the RBNZ is now stressing that "LVR restrictions are to be used only occasionally, at those points in the financial cycle where there is a real danger of growing systemic risks leading to financial instability. The Reserve Bank does not intend to operate LVR restrictions in a continuous fashion to smooth the cycle, but rather aims to limit the extreme peaks in house price and housing credit cycles". A recent speech by Deputy Governor Grant Spencer appeared to be laying the groundwork for the removal of the limits - at some unspecified point. QV said its latest figures meant that national prices were now 12.6% above the previous market peak of late 2007. When adjusted for inflation values remain below the 2007 peak by 2.8%. The Auckland market values are 28% above the previous peak. When adjusted for inflation values are up 12.5% over the past year and are 10.5% above the 2007 peak. QV's national spokesperson, Andrea Rush said the LVR speed limits, coupled with the Reserve Bank signalling further interest rate hikes, were likely to be contributing to a levelling off in the growth of property values in Auckland "and for the first time in more than two years we are seeing a decrease in some areas of that market". "Home loan approvals nationwide are also down about 10% on the same time last year; overall sales volumes are similarly down and the amount of activity from first home buyers around the country is also well down on what it was prior to the LVR speed limits being applied in October." The rate of growth in property values across the Auckland region has slowed considerably with values increasing 0.9% in the past three months and 0.3% since February. Some areas have seen a decrease in values over the past three months including Auckland – South which is down by 0.5% however values there are up 13.8% year on year and 36% since the previous peak of 2007 which is a national high. Manukau East is also down by 0.6% but similarly is up 13.7% year on year and 28.7% since 2007, and Auckland City – Islands values are down 0.3% since December but is up 9.6% year on year and 14.1% since 2007. “We’re also seeing high demand for pockets of new construction within existing residential areas and these home and land packages are achieving good prices which could be a result of LVR Restrictions being removed from new construction,” he said. Growth in residential property values in Hamilton City have also slowed with an increase of 0.4% over the past three months. Values in North East Hamilton are up 0.4% in the same period but are up 7.1% year on year compared to a 4.9% for Hamilton city year on year. The Wellington market remained steady with house prices in the region up by 2.8% year on year, and 0.7% in the last three months. Wellington West led the value increases in the capital with values up by 2.3% in the past three months. Lower Hutt City, Wellington East and Wellington City also saw increases of 1.6%, 1.2% and 1.0% during the same period. Values in Upper Hutt City and Porirua City have decreased by 0.5% since December and the Kapiti Coast is down by just 0.1%. “There are a lot of listings coming to market so buyers have greater choice and face less pressure to make a purchase decision,” he said. In the past three months values in across Christchurch have cooled with the city showing a decrease of 1.5% overall however city values are up 8.3% year on year and 18% since the previous peak of 2007. In terms of suburbs around the city, Christchurch East is down 2.4% since December but up 5% year on year and 8.9% since 2007. Christchurch Hills is down 3.0% in the same period but up 3.3% year on year and 8.9% since 2007. Christchurch Southwest is down 0.6% and central and northern suburbs are also down 0.4%, but again values in these areas of the city are up 11.4% and 10.7% year on year respectively and 25.3% and 19% since 2007. “The LVR changes may have forced first home buyers to wait and save a larger deposit or look elsewhere for finance, but, first home buyers are still active in Christchurch buying houses and seeking valuations,” he said. Property values in Dunedin remain steady with the Peninsula and Coastal properties showing the biggest increase in value at 2.1% over the past three months. While Dunedin City is down 0.2%, Dunedin South and Dunedin Central and North are both down 0.7% during the same period. Values in the provincial centres are still variable. In the North Island, Whangarei District is up 1.2% over the past three months and 4.9 % year on year. The Kaipara District is also up 0.7% in the past three months and 7.9% year on year. While values in Otorohanga District are down 13% in the past three months but show a 5.4% increase year on year. In the South Island, outside of Christchurch the Waimate District saw the greatest rise in values over the past year with values up 10.3% on this time last year and up 6.2% in the past three months. Kaikoura District was also up 5.6% year on year and 6.6% since December. And that was on top of 9.3% the month before and 10% in December. A growth rate of 8.8% per month will just have to do then. Um Dad - its 8.8%pa. Shame that he has to sack his Mum & Aunt Betty , though ! I wish they would stop with the yoy stuff; you are comparing a changing value with a moving target. Better to use index change over past 3 months to extrapolate an annual rate. Auckland house prices are now running at an annual rate of 3.6% based on last 3 months. Auckland south now in running at -2% annual rate (yes falling prices). With general inflation considered those figures will look pretty depressing to some. The vested interests (QV being one of them) will avoid clear, understandable figures in their summary whenever possible. They need to encourage people (like BigDaddy above hah!) to believe that the market is always going up and you need to get onboard ASAP! Yes, why does QV like it when house prices go up? They are clearly biased to favour increases as a good thing and decreases as bad. Someone tell their funding minister they have a conflict of interest. Enthusiastic market means more valuations. Even the "bad" news is followed by a "but things are still ok" comment. It is the same when prices are going (or have gone down) - seasonally adjusted prices can be stable (or increase) but will still look like you are going down on a seasonally adjusted basis. Prices are volatile, and seasonal. The only measure that I think is relevant and you can have some degree of confidence are seasonally adjusted volumes and prices, on a 3 month rolling average. If interest.co.nz got them selves a seasonal adjustment model for prices and volumes - or even better - had a relationship with someone like infometrics/wespac/etc to do it for them - it would make for much more informed debate and discussion, rather than focusing on trends that aren't really relevant anymore. It is only natural that after the solid rises over the last 18 months or so, that there would need to be a "breather" but I doubt if the LVR rules have much to do with it. The prices of anything in all free markets ( sort of) such as the property market, do not go up or down in straight lines, but in a series up and down steps. Up, breather, up again, breather, down, breather, up again, breather down, etc etc. Because it's the best time to snap up those bargains ready for the next inevitable upward phase. Excellent news for all. Property price growth remains positive but the speed of inflation is reducing. Wasn't that the goal?